Bali had been on my dream list ever since I’d watched the Miss Universe pageant on the television at home. As a little girl, I’d remain glued to the television, not to watch the lovely ladies, but get a view of this piece of the archipelago off the farther side of the Indian Ocean. I’d gazed intently, slowly absorbing with my little eyes the great charm this island had induced in me. 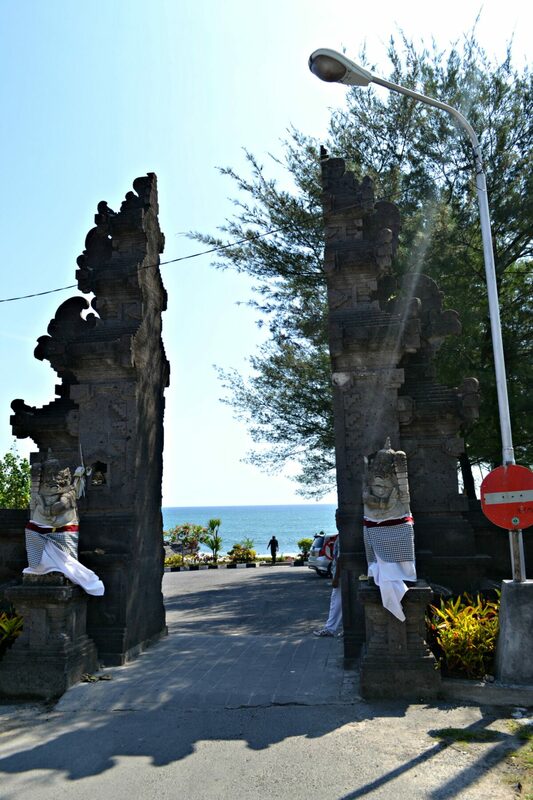 The flamboyance of the city, coupled with the beautiful beaches had captured my fascination, turning me crazy about Bali. Gorgeous people hanging around on the shores of the laid back, crystal clear beaches and the amazing landscapes had painted a picture perfect place in my head. The moment when you enter a new place as you travel is pure joy, unbounded by materialistic substitutes and unmatched Ecstasy. And, I am no exception to the magic cast by travel. Landing on the runway in itself was an enthralling experience, as I glanced at the thin boundary formed by the deep blue waters beneath the plane looking stunning from above. This panoramic view almost made me forget my flight fears momentarily, as I watched awestruck, the amazing landscapes that stretched across the distant horizon. The beach shore is just a few meters away from the runway at the Denpasar airport, and the process of landing just beside the deep blue ocean is an invigorating experience! The scorching sun shimmered in Denpasar, a bustling city blended with a deep-rooted Hindu tradition, just like the other cities in Bali. 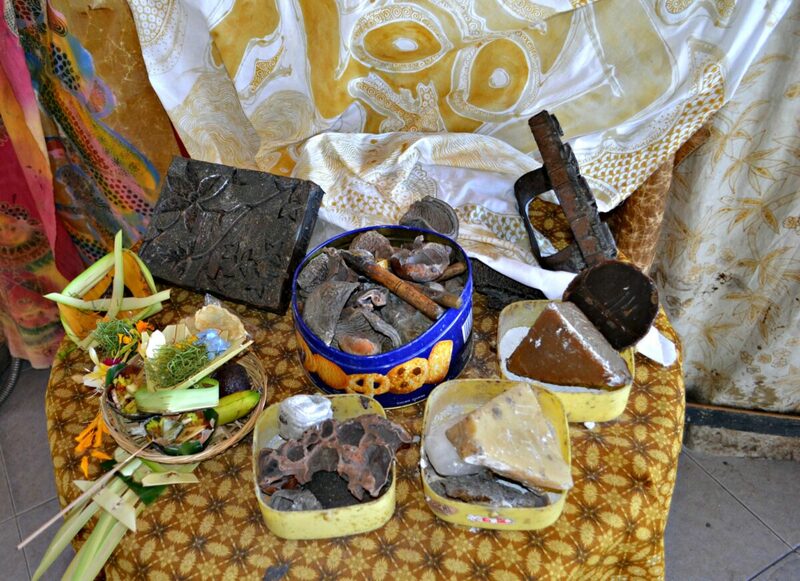 Having read about the influence of the Hindu religion in Bali, I was expecting a temple or two like the ones we have back home. 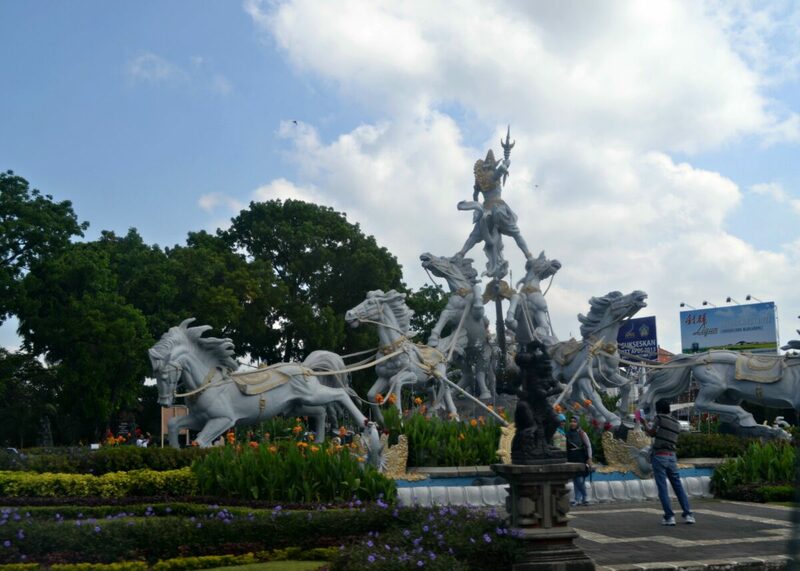 But, the contradiction left me mesmerised as I was welcomed by huge statues of the characters of our Indian Epics Mahabharata like Karna and Bhima, as we rode on the way to Kuta from Denpasar. We learnt a lot of stories about the culture in Bali, which is heavily based on the traditions followed in India, from our guide who gave us an excellent information throughout. Coincidentally, our trip to Bali was in the week where they’d been celebrating a famous festival (I’m unable to recall the name). So, every street looked decorated, and people were seen worshiping their deities with reverence. 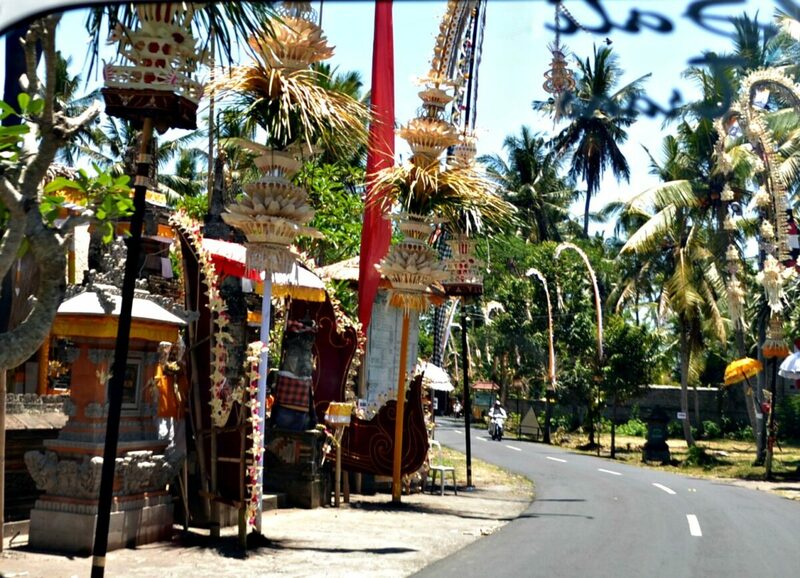 Kuta is a small district, located about 22 km south from Denpasar, the capital city of the Bali island province. Nusa Dua is a place which is home to numerous 5-star resorts along the coastline and draws travelers of all sorts. I was drawn to this magnificent town instantly which occurred to me like a touched up version of Goa. Nusa Dua bubbled with life at night. The glittering shops selling everything from clothes to local stuff, the Discovery mall which is popular for the unique souvenirs and liquor, the energised crowd hitting the road as the sun bid goodbye in this little town glowing with life – All this seemed to bring a festive atmosphere. We took a walk along the streets at late night to experience the local feel of the town and I witnessed the laid back nature of the young people enjoying the nightlife – dancing, giggling and chit-chatting on roads with a drink or two. It seemed like a perfect place created for pure fun! We explored some more, to find the road leading to the shore of the Nusa Dua beach, alongside which numerous luxury beachside resorts have flourished. Although these resorts classify themselves as 3 stars, most of the resorts are very beautiful and are much better than many 5 star hotels in other parts of the world! The views from these resorts are breathtakingly scenic and serene – overlooking the Indian ocean, as if justifying the name this island beholds – Island of Peace! 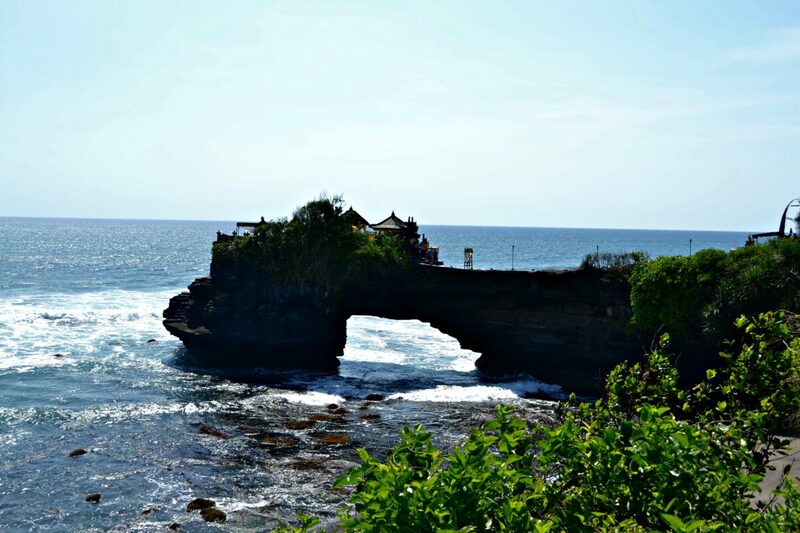 Having experienced a vivid and colorful nightlife of this wonderful town, we drove to Tanah Lot temple the next day. 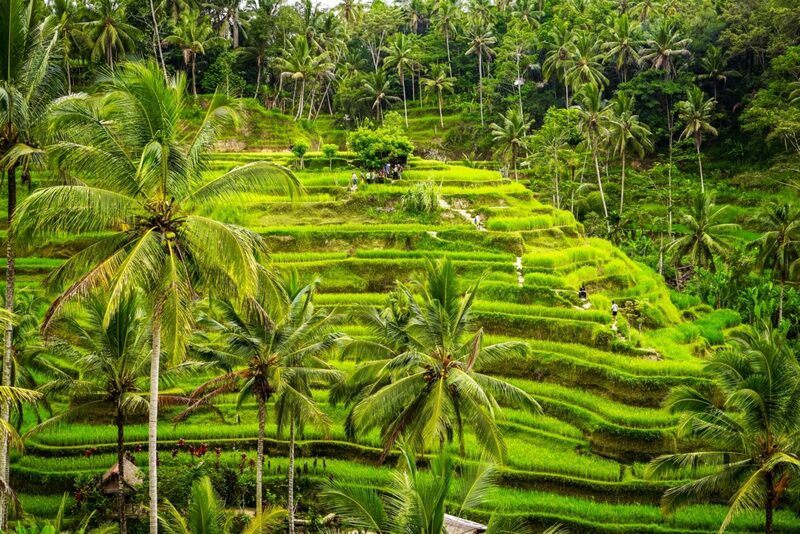 Recommended read: Balinese Cooking Class & An Amazing Rice Plantation Experience! 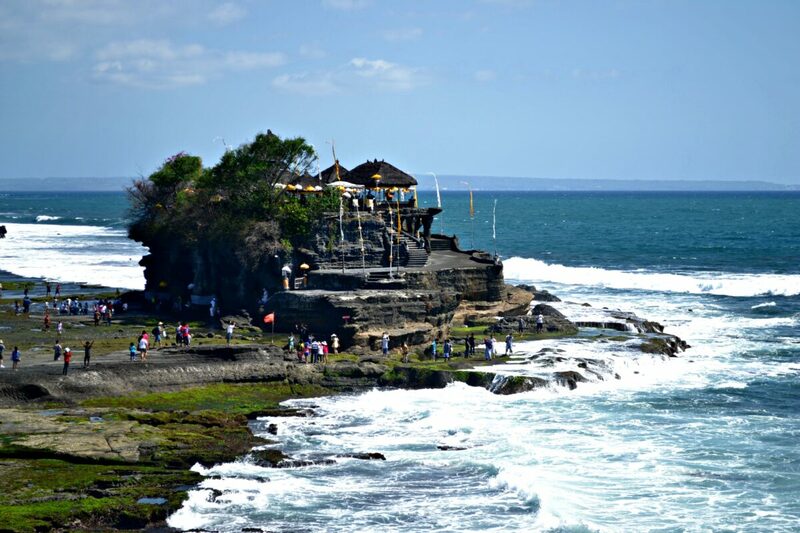 Tanah Lot temple is one of the seven temples along the coastline of Bali and has a history dating back to centuries. The temple is located on the rocks and is stunningly picturesque. 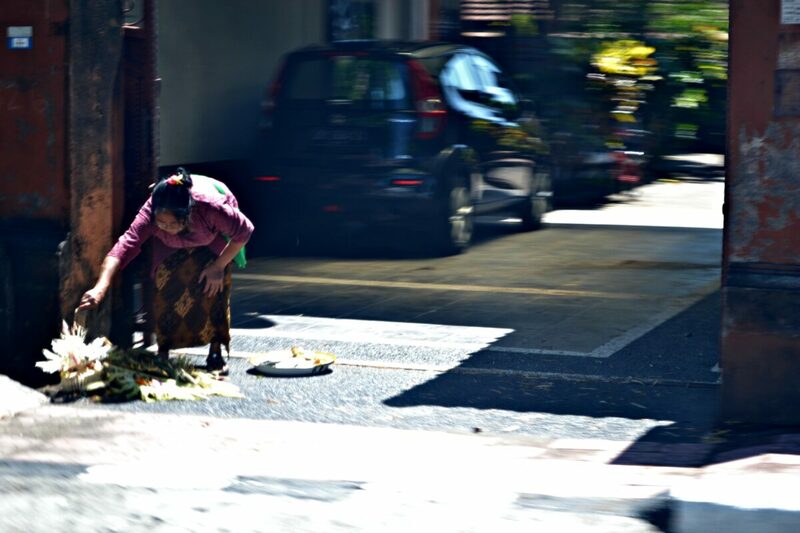 No wonder, it is the icon of Bali tourism and a heaven for photographers! The temple is hugely popular and commercialized although the tourists are forbidden to enter the temple premises (Unless you wear a particular attire that is a must for entering any temple in Bali). Tanah Lot is extremely wonderful, with a backdrop of the clear Indian Ocean stretching for miles. There are few places that can instantly instil a sense of serenity within you and Tanah Lot is one of them. I stood watching the mesmerizing views trying to imprint the picturesque image in my head, waves of peace flooded my mind. We spent a lot of time photographing and digging on the history of the place, co-relating the story with the Indian version of mythology. We bumped on a surprising piece of information – That, It is believed that the Tanah Lot temple was built by Markandeya – one of the ancient sages of the land of India! I was spellbound by the connections which both my motherland and this country shared and learnt about the roots that went so deep. I was humbled to know how things like traditions, beliefs and cultures which hold subtle meanings which we are oblivious to and how they have seeped through countries crossing the oceans, for hundreds of years. After all, Isn’t it the beauty of travel?? To sweep you off your feet and make us all realize and remind us of such a marvelous planet that we inhabit!